If you’re travelling to Phuket to celebrate a loved one or a special occasion in your relationship, we’re here to point you in the right direction from where to go and what to do, to make sure you plan the best honeymoon possible for your special someone! With aqua blue waters and sandy beaches that’ll take your breath away, you won’t be short on choice for where to spend you sunny days. With each island looking even more beautiful than the last, it’s every newlyweds dream come true. Out top pick for that special getaway would be Koh Yao Yai… said to be the Maldives of Phuket. With stunning hotels and private villas, you’ll sure be treated like a king and queen. Treat your loved one to the most unforgettable trip with day trips to Koh Yao Noi and beyond. Grab a candle lit dinner by the beachfront, enjoy fresh fish caught that day and sip on Pina Coladas until your heart’s content. If you fancy something a little further afield, jump on a boat and head to Koh Lipe. We’re talking white soft sand and palm trees for days; views that makes Google images come to life. Spend your days in a kabana on the beach, get a couples massage and even catch a speed boat ride around the beautiful island. If you can’t sit still for more than five minutes, something more active may be more your scene. 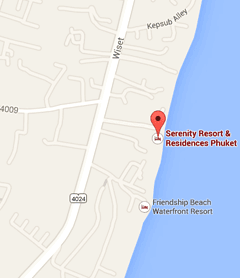 Head up to Khao Lak for breathtaking views and unlimited activities that’ll keep your days filled. With kayaking, hiking through the national park nature trails, and rafting, you’ll become at one with nature in no time. With no one else around you, just you, your loved one and nature all around, it’s as dreamy as it gets! Then it’s all about heading to those famous lookout points for a romantic sunset and getting that must-have sunset shot. Our absolute favourite romantic sunset spots are The Windmill and Promthep cape in Rawai, you’re guaranteed for some serious breathtaking views!